It is your sole responsibility to ensure that your registration or application is complete. 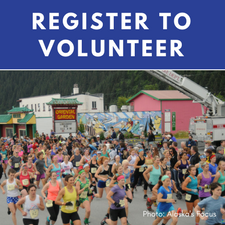 Any registration fee, application fee, or Skip-a-Year fee not paid IN FULL by registration close will cause that registration or application to be considered INVALID and that Racer or Applicant may be disqualified. Resubmit your application, making sure that you complete the payment portion through PayPal, and have received a PayPal confirmation email. If you have received your PayPal confirmation and this page still does not show a ‘Completed’ status, submit the following form. Having a problem registering to race or applying for the lottery? Please provide the following information so that we can better help you! Have you recently gotten married, or divorced, or changed your name legally? If your registration of application is 'Incomplete' and you have received a PayPal Receipt - please provide the PayPal Transaction ID here - or enter NONE. Please indicate the exact problem or error message you received during registration in detail.